E-commerce in the Canadian grocery market is going to take-off this year. While online shopping volume in the Canadian retail industry was at a relatively small figure of $20 billion in 2013, development in the grocery industry has been almost non-existent. Canada lags behind every first world market in the proportionate size of its online shopping business. While Canada is a global powerhouse when it comes to internet penetration, at 87% of households, and of smart phone usage, the investments behind developing online channels is miniscule. One hears about various issues such as long distances for shipping and high costs, small relative population, lack in economies of scale, etc., all of which have hampered the development of e-commerce in Canada. All these are excuses to my mind! The Canadian population is sizeable (when compared with most European countries), the population is concentrated in a few urban centers (Toronto, Vancouver, Montreal and Calgary account for a big part of the country population). The truth is that Canadian retailers have until now offered shoppers a subpar shopping experience, limited product selection, and weak shipping infrastructure. All these factors are driving consumers to shop online internationally. 45% of online shopping in Canada is done on international websites. There is tremendous potential in Canada and the current state of this channel leaves a lot to be desired. 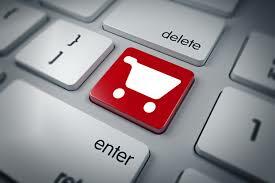 I plan to study the evoution of online shopping in the Canadian grocery business as things heat up in this sector. – because the Canadian grocery market is flat and any channel that is growing deserves time and attention.